Keeping wheat, corn and dairy out of your diet will require you to carefully read food labels, ask many questions when eating out or cook most of your foods at home. Many processed foods, including sauces, marinades, grain-based products and convenience foods and snack foods contain wheat, corn or dairy as part of their ingredients. To avoid ingredients to which you are either intolerant or allergic, or choose to avoid by choice, base your diet on vegetables, wheat-free grains like buckwheat, oats, barley, rye and quinoa, tubers, squashes, fruits, eggs, poultry, fish and meat. Corn is one of the main plant cultivated in the United States, and is in many ingredients that appear in most of the staple foods of the standard American diet. Some ingredients are not necessarily made from corn, but often are. Avoid foods containing citric acid, ascorbic acid, artificial sweeteners, flavorings, fructose, fruit juice concentrate, food starch, maltose, maltodextrin and dextrin if you need to completely avoid corn. Stay away from corn oil, corn syrup, corn, popcorn, cornstarch, modified corn starch, polenta, taco shells and corn-based tortillas. Dairy products include cheese, butter, buttermilk, milk, cream and yogurt, but can also be hidden as casein, whey, buttermilk solids, curds, milk solids, lactalbumin, caseinate and cream in many of the foods found at the supermarket. Be especially careful with commercially processed foods, which are highly likely to contain dairy ingredients. Soymilk and almond milk are suitable dairy-free milk alternatives if you tolerate soy and nuts. Wheat is the most commonly used ingredient and is used in almost all grain-based foods, including bread, pasta, breakfast cereals, granola bars, crackers, muffins, croissants, cakes, cookies, couscous, bulgur and baked goods. Any foods containing wheat bran, wheat germ, wheat starch, graham, durham or enriched flour, gluten, modified food starch, malt, spelt, vegetable gums, semolina, hydrolyzed vegetable protein, starch or natural flavoring is likely to contain wheat. Carefully read the ingredient lists to keep your diet free of wheat. For breakfast, you can have a porridge made with quinoa, served with unsweetened applesauce, a spoonful of peanut butter and a handful of raspberries. For lunch, a sandwich made with gluten-free bread, a tomato and lentil soup or a big chicken salad make a healthy wheat-free, corn-free and dairy-free lunch. 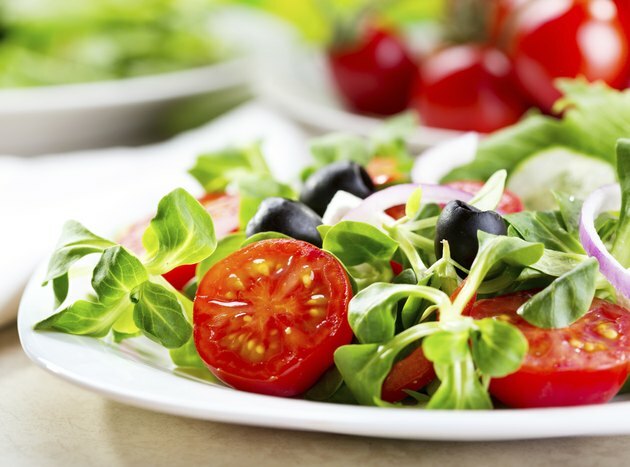 Be careful with the salad dressing and make your own to avoid traces of wheat, corn or dairy. Mix equal parts of good-quality olive oil and red wine vinegar. For dinner, mashed sweet potato with salmon and broccoli or a stir-fry with mushrooms, bok choy, sliced beef and gluten-free tamari sauce are easy to prepare and safe for you. Snack on raw or roasted nuts, fresh fruits, vegetables dipped in homemade hummus or a smoothie made with almond milk and any combination of your favorite fruits.